Ben Franklin Silver Half Dollar contains 90% silver and does a good job paying respect to one of the founders of our great country the United States of America. The coin was minted from 1948 to 1963, it's lifespan was cut short due to the assassination of JFK and the subsequent minting of the Kennedy Half Dollars. So these coins are fairly rare. In addition to the limited minting in terms of these coins many were melted down* as bullion after 1964 as there 90% silver content made them worth more than .50 at the time. 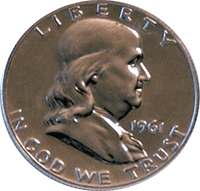 The front of this coin has Benjamin's Franklin head, while the reverse contains the Liberty Bell. The coins was originally designed by John R. Sinnock in 1948. 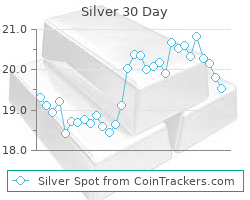 Current silver melt value* for this coin is $5.42 and this price is based off the current silver spot price of $14.99 This value is dynamic so bookmark it and comeback for an up to the minute silver melt value.